Home Forums News & Patch Notes Overwatch Digital Comic: "Yeti Hunt"
Overwatch Digital Comic: "Yeti Hunt"
Please review our General Rules & Guidelines before posting or commenting anywhere on OwFire. The latest installment in our series of digital comic shorts has arrived: Yeti Hunt! 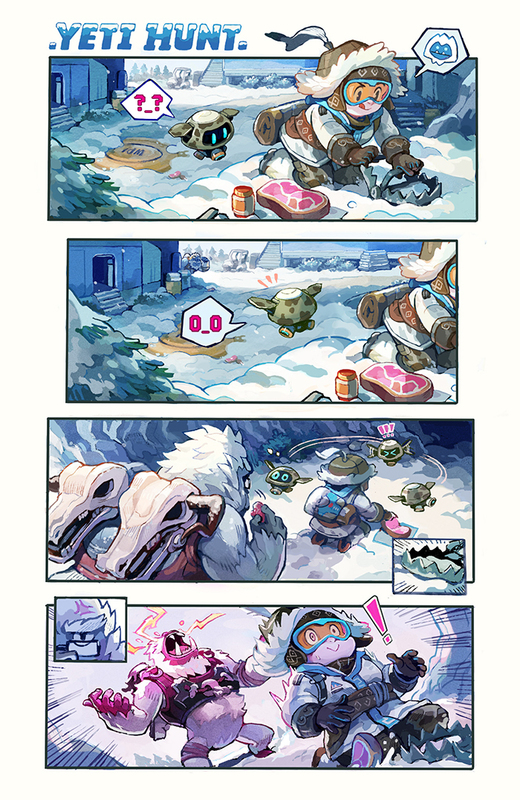 Written by Blizzard's own Robert Brooks and illustrated by community artist Nathan "onemegawatt" Nguyen, "Yeti Hunt" is now available for download at comic.playoverwatch.com. You can also experience the action and sound of this story through the Madefire motion book on desktop, mobile, and Apple TV. We hope you enjoy it—stay tuned for more Overwatch comics coming soon! Missed any of our previous comic shorts? Check them out here.